In a scathing report in 1993, the auditor general blasted Brian Mulroney’s administration for giving Parliament "inaccurate and incomplete" information on the costs of the government jets used by ministers and other federal VIPs. Almost two decades later, the debate over the government jets rages on. The Harper government routinely states the cost of the jets in terms of variable expenses, such as fuel and repairs. But the total costs, according to the auditor general, are almost four times that much. The following chart provides a breakdown of what the current fleet of six Challenger jets actually cost taxpayers in 2010-11, the most recent figures available, using the accounting methods set out by the auditor general in 1993. The figures were provided by the Department of National Defence under the federal Access to Information Program. The costs are broken down into three main categories: fixed, variable and annualized capital costs. If you were applying the same accounting to your family car, the "fixed costs" would be things such as insurance and licensing. "Variable costs" would cover gas, oil and repair, expenses that depend on how much you drive. The "annualized capital costs" would account for such things as financing your car and annual depreciation of its value. The line items that make up the total annual cost of the Challenger fleet are mostly self-explanatory. The fixed costs total $10,469,000, and include salaries for maintenance personnel, aircrews and administration, and the costs of hangars and security. The variable costs last year totalled $9,428,000. They included such things as jet fuel, oil, repairs, landing fees, onboard food and the aircrew's travel expenses. A line item called "deferred costs" refers to major repair jobs, the costs of which are spread over a number of accounting years. The annualized capital costs of the six Challenger jets last year totalled $13,556,000. That reflects such things as the price of buying the jets – the last two purchased in 2002 cost more than $50 million each – and their depreciation in value over the years. Those costs are calculated on an annual basis. In total, the fixed, variable and capital costs of the Challenger fleet last year were $33,453,000. The jets were flown a total of 2,669 hours. 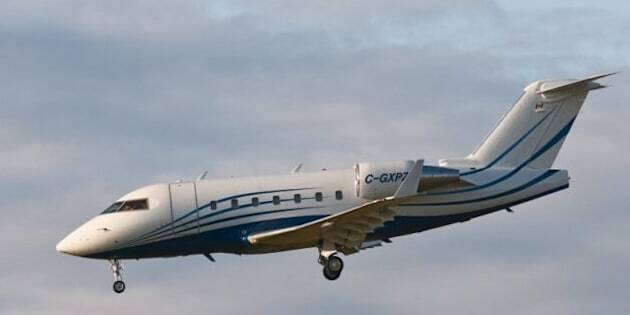 Bottom line: The government's VIP jets cost taxpayers $12,531 for every hour of flight.